The Georgia vs. South Carolina rivalry is one of the fiercest in the SEC. It’s not the oldest (that credit goes to UGA vs. Auburn) but damn this game is always a battle whether it’s played in Athens or Columbia. 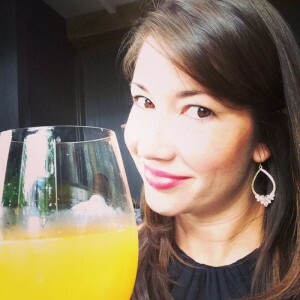 For those of y’all who are regular Pretty Southern readers, you know we’re die hard Dawg fans on the blog. Several of our contributors worked at UGA’s student newspaper, The Red & Black, during our glory days. 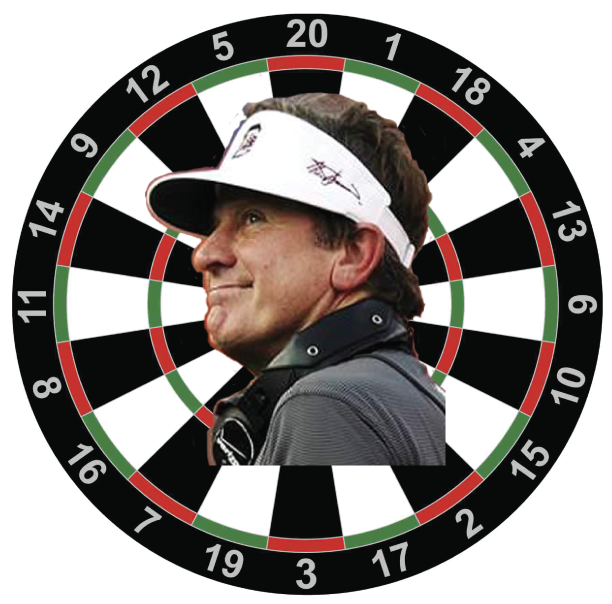 Back in 2005, The Red & Black published a cover of its weekly First & Goal featuring Steve Spurrier’s head on a dartboard. We’ve recreated this little gem for you, and the original artwork is below. 1. 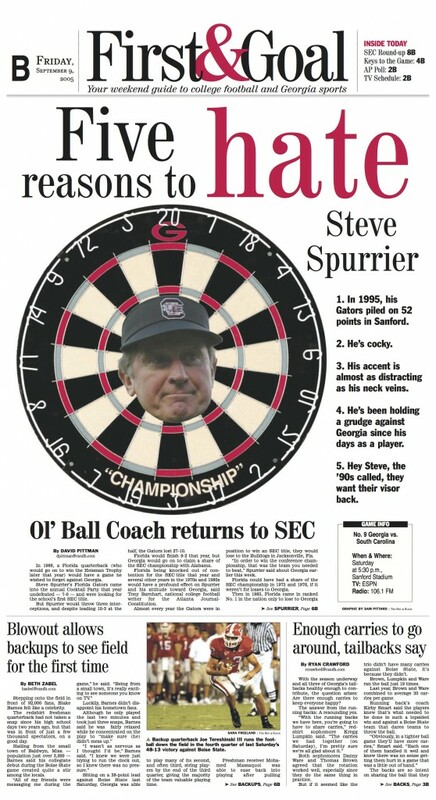 In 1995, his Gators piled on 52 points in Sanford Stadium. 3. His accent is almost as distracting as his neck veins. 4. He’s been holding a grudge against Georgia since his days as a player. 5. Hey Steve, the ’90s called, they want their visor back.